The wide range of challenges associated with change can be daunting, but thankfully MTD has an infographic to teach you how to become a change management champion. The infographic identifies the key tasks you need to perform to implement effective change management. 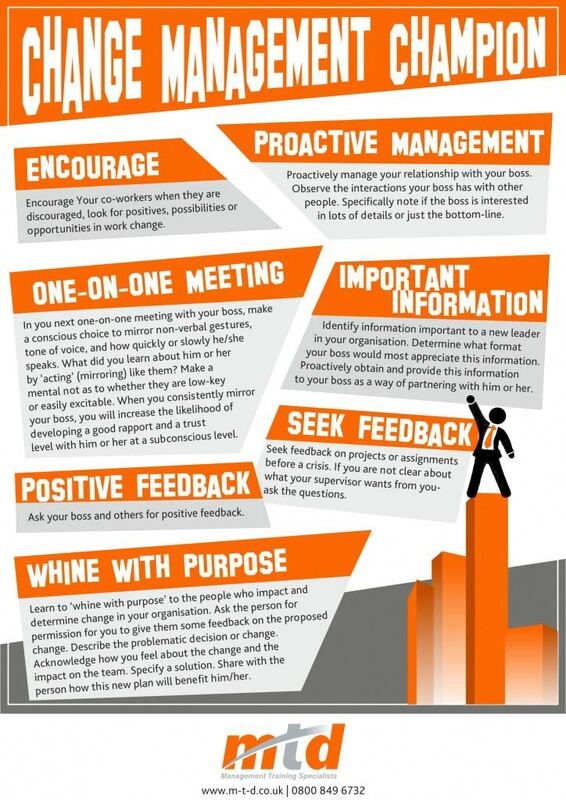 These range from identifying important information to offering positive feedback and using proactive management. An effective change manager has to be on top of a wide array of tasks and all of these need to go well to make for a successful change initiative.